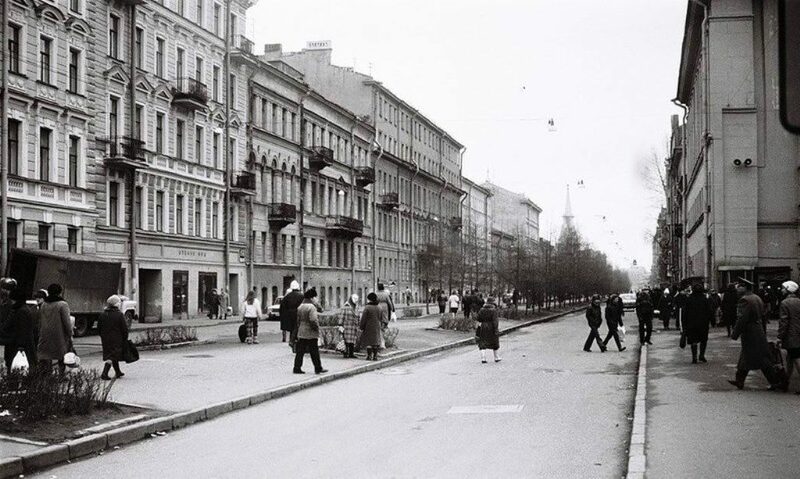 The building, which now houses the Inn 6 line, takes its history from 1720, when the development of the site on Vasilyevsky Island began and the buildings were all wooden. In 1820, a stone three-story house was built in the classical style, which occupies an area not the full width; after 20 years, the same house is attached to the existing building on the left, but with a slightly different facade treatment. In the 1830s, the apartment of Arkady Timiryazev, the state councilor and chief of the St. Petersburg Customs, was here. He was the father of a famous scientist. In 1839, Taras Shevchenko was renting a room in this house - then a student of the Academy of Arts. Here also rented an apartment in the period from 1895 to 1913, the artist Mechislav Mikhailovich Dalkevich, known for his drawings in the metropolitan illustrated magazines "Picturesque Review", "Dragonfly", "Niva". His workshop was also there. At the beginning of the twentieth century, Dalkevich participated in the organization of the magazine “Leshy”, became the head of the art department “Niva”, where he placed his own critical articles. Since 1910 a number of premises in the house were occupied by the publishing house “Life” and the bookstore “Delo”, which belonged to A.O.Glembotsky.Then there were: the French and Russian private kindergarten of E.V. Kondurushkina, the medical laboratory of I.A. Frizen and the "Big Vasileostrovskaya pharmacy", the workshop of gold and silver products of the merchant NF Kemper, the perfume shop of bourgeois woman P.Linde, a cream and dairy shop, a bakery of the N.I. Maksimov bakery. From 1913 and before the revolution the house was profitable and Baroness Julia Glebovna von Biel was listed as the owner of the house. 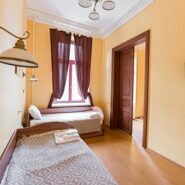 We have kept the features of all past eras, carefully restored historical elements and now you can comfortably stay in the historical center of the city and feel like a guest of this old St. Petersburg!